Its conception guarantees the total safety of persons and goods because any gas leak and any burn by direct contact or by backfire are impossible. 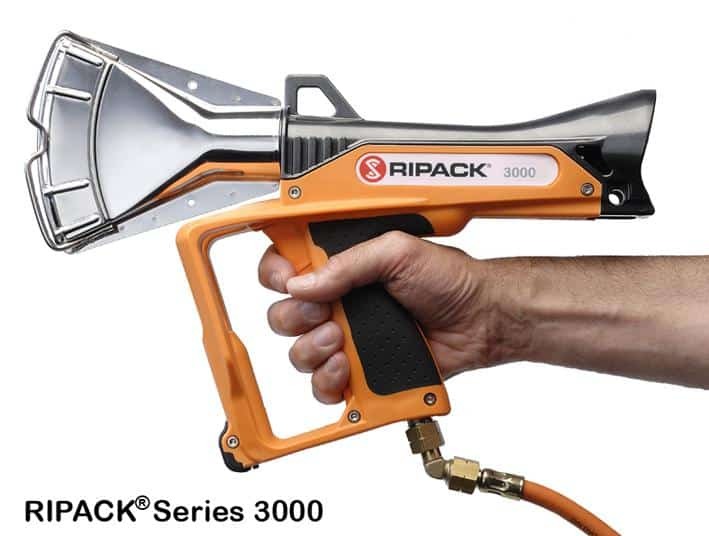 The combustion nozzle in stainless steel remains cold even during an intensive use (Patent Ripack®). The design of the aluminium body forbids any obstruction of the diverse air inlets and the pressure regulator SECURIPACK has double security. 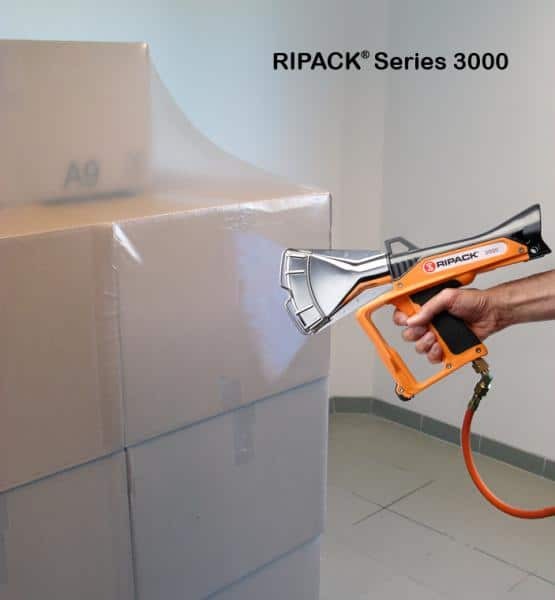 The dual-material handle, the easy action of the trigger, the perfect balance of its 1220 grams, the rotating nozzle in 360°, the rotating gas connector and the hanger ring authorize an intensive use without any constraint. But the ergonomics are total and also applies to the current maintenance in order to limit the downtime of the shrink gun to the minimum. The replacement of the igniter piezo is made without a tool in less than a minute with an incorporated emergency igniter. A pivoting armrest provides increased comfort during use with extension wand.